Product prices and availability are accurate as of 2019-04-19 10:45:32 UTC and are subject to change. Any price and availability information displayed on http://www.amazon.com.au/ at the time of purchase will apply to the purchase of this product. The Guyot Designs Utensils are designed to be your "go to" utensils either on the trail or cooking at home. These innovative Utensils are designed for slurping hot soup on a cold trail or cutting the toughest of food. 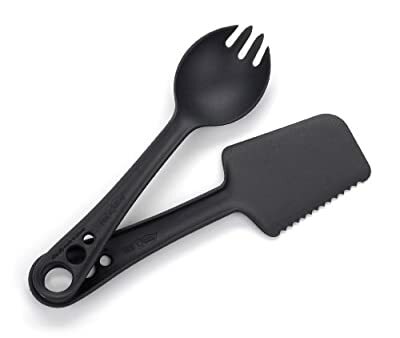 The Utensils are made of reclaimable nylon and 2% of their sales go to support environmental action charities. Finally another reason to feel great about chow time!